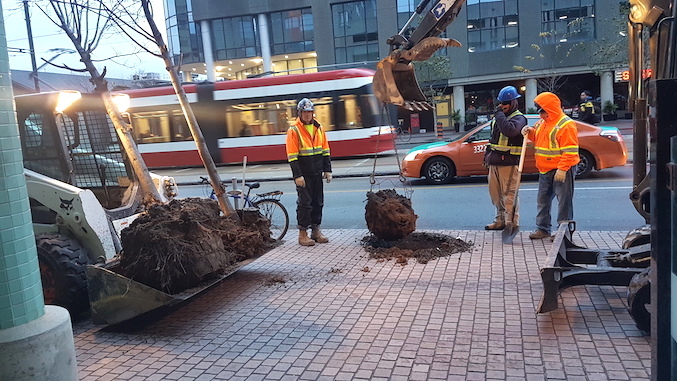 YQNA has followed the fate of trees that were planted on Queens Quay by Waterfront Toronto (WT) three years ago. Of the 227 young trees, most had died or failed to thrive due to harsh weather conditions, vandalism, salt, fungus, watering problems, or they were simply the wrong type of tree for the challenging weather conditions on the Waterfront. Residents had been worried about this decline for a long time. Wayne Christian and Carolyn Johnson of YQNA were among them, so they conducted a visual survey of dead, missing, sick and healthy trees, which was sent to WT along with our request to replace the trees. It was no simple matter to analyze this tree situation—which species can thrive, how to protect the trees etc.—but Netami Stuart of WT spoke at our Fall meeting about the large undertaking of replacing 154 trees with new species. That happened in late October, 2018. WT will issue a brochure about taking care of our new trees, and YQNA will help distribute the knowledge to businesses and condo boards. 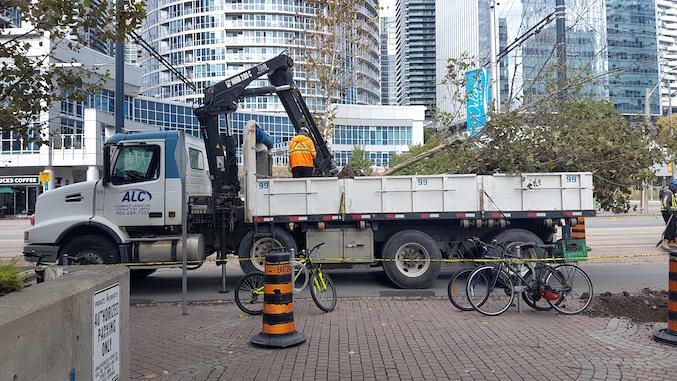 We hope a great tree canopy will define Queens Quay in the future.